Tina Arena, the undisputed high priestess of Australian music, is set to release ‘Greatest Hits and Interpretations’, a 2CD / 31 track set that pays homage to her incredible 40 years in the music business. A selection of artists, including some of Australia’s finest performers, have joined in the celebration, lending their own renditions of Tina’s songs to this magnificent collection, to delight even the most ardent fans! It also features those megahits in between, the iconic songs that generations of Australians know by heart – “Chains”, “Sorrento Moon”, “Wasn’t It Good”, “Burn”, “If I Didn’t Love You”, “Symphony Of Life”, “Heaven Help My Heart” and many more. “Tiny Tina” was already one of the most popular singers in the country by the age of nine. 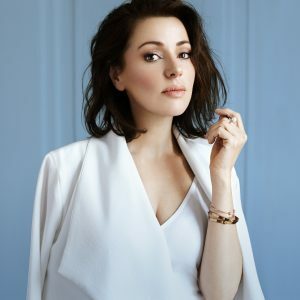 Generations of Australians have grown up with Tina Arena and her music. The child star is now a veteran (even though she’s still only in her 40s! ), with international album sales topping 10 million. ‘Greatest Hits and Interpretations’ is a musical collection in two very distinct parts. Disc One, titled ‘Retrospective’, is all about the greatest hits, an exceptional selection of songs. Disc Two, ‘Reimagine’, showcases an eclectic array performed by Tina’s peers and some of her favourite newcomers, reinterpreting her body of work, not only as a singer, but as one of our most successful songwriters. The results are absolutely stunning, some of Tina’s most famous songs given an entirely new life and mood by performers as diverse as Jimmy Barnes, Katie Noonan, Dannii Minogue, The Veronicas, Jessica Mauboy, Morgan Evans, Clare Bowen, Ben Abraham and Ainslie Wills, and many more. Tina’s achievements are extraordinary. Globally she has accrued 20 top 20 singles, been awarded a Knighthood of the Order of National Merit in France, released two French speaking studio albums and sold more than 5 million albums in France alone. She has dueted with superstars such as Stevie Wonder, Donna Summer and Andrea Bocelli. In Australia, the 1994 album ‘Don’t Ask’ is now at 14 x platinum, ensuring it is one of the highest selling Australian albums of all time. Tina was the first woman to win ‘ARIA Album Of The Year’, is regarded as #1 Greatest Female Vocalist of All Time (News Corp) and has released a Best Selling Biography, now approaching it’s fifth re-print. In 2015 Tina was inducted into the ARIA Hall of Fame and last year, she received an Order Of Australia. Tina is also releasing her first fragrance this year, called ‘Renaissance’ and developed with Bertrand Duchaufour, one of the world’s leading perfumers in Paris. Bertrand has developed scents with Dior and Givenchy, and he and Tina have come up with a high quality Eau De Parfum combining ingredients sourced from Tina’s three cultures: France, Italy and Australia (including Sandalwood from Indigenous Australia). ‘Greatest Hits and Interpretations’ will be released on April 7, with pre-order open now offering two immediate tracks – “Wouldn’t It Be Good”, Tina’s Nik Kershaw cover, and a stunning version of “Still Running” from Clare Bowen, of hit TV series Nashville. On March 24, Tina’s emotional classic ‘”Burn” will be made available alongside Kate Miller-Heidke’s magical take on “Heaven Help My Heart”.